Who ever knew something so simple could taste so incredibly good?! 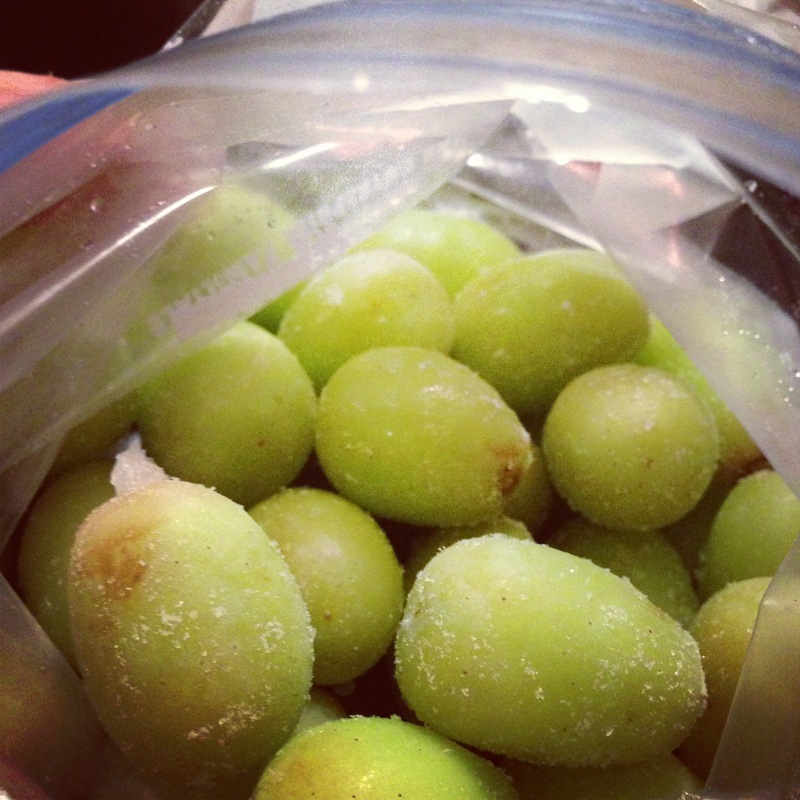 I recently heard about frozen grapes from a friend but questioned how good they could really taste. I don’t really care for grapes as they are, so, I didn’t think freezing them would yield such an incredible treat. Boy, was I wrong. Once frozen, these babies taste like a mix between a sorbet and a Popsicle! They are hard on the outside but still soft on the inside. The best part of all is that it’s obviously quite effortless to freeze them. We just bought another 4 pounds of grapes this week and I’m ready to pop them in the freezer. 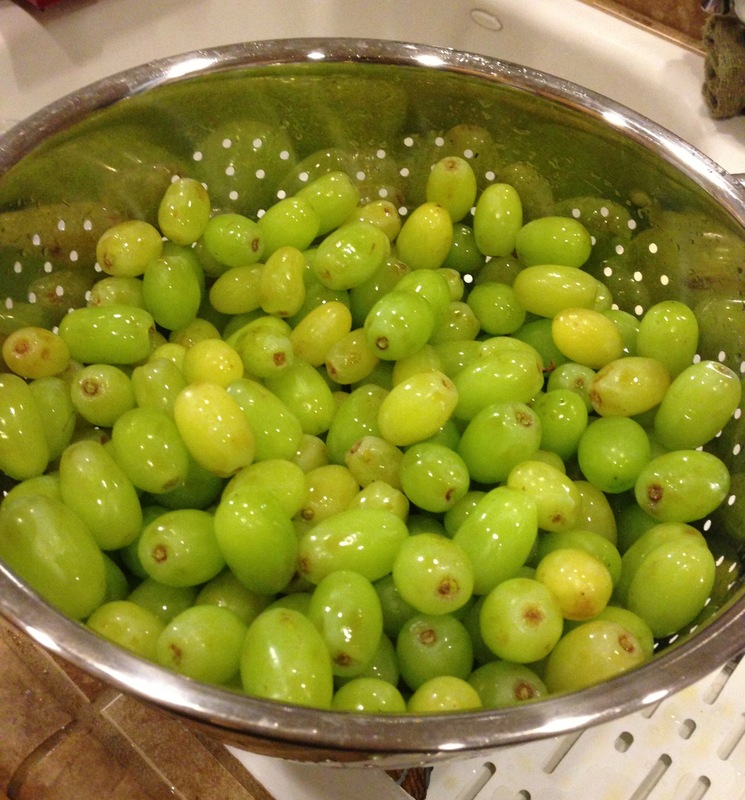 Just pick each grape off the vine, rinse with water, pat dry, and put the grapes in Ziploc bags. I like separating them out and putting about a cup in each bag; that way, they can last throughout the week. It’s also wise to buy them seedless, so that you don’t have to crunch down on the seeds. Also, if you prefer a more tart taste (like I do), I recommend buying green grapes, since they’re naturally more sour than the red ones. To have them harden nicely, stick your grapes in the freezer overnight; trust me, it’s worth the wait! The next morning, you can grab a bag from the freezer and enjoy them as an afternoon treat when your blood sugar feels like it’s getting low. You know, around that time when you start craving sweets and would easily grab a piece of chocolate if you didn’t have anything healthier around. They’re also great as a mid-evening snack after you eat dinner. I don’t know about you but I always crave something sweet after dinner! Mmm, mmm! Not only do these taste great but you will seriously feel like you’re eating dessert!